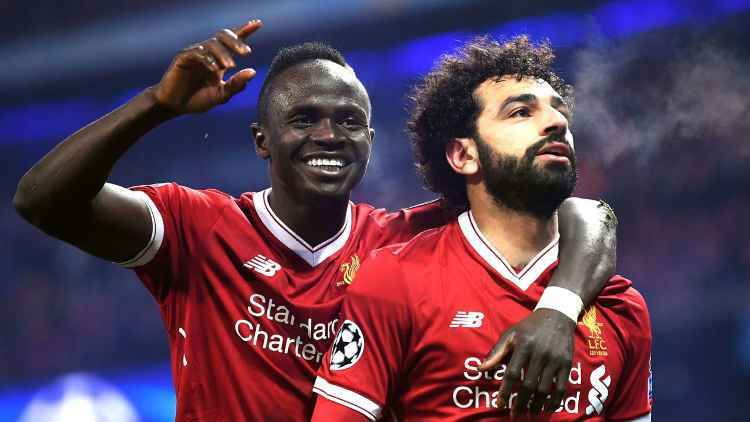 Current holder Mohamed Salah and Sadio Mane are the headline inclusions in CAF's 34-man shortlist for the 2018 African Footballer of the Year award. The Confederation of African Football published the list of nominees for six different categories on Friday, with the winners to be revealed at an awards ceremony in Dakar on January 8. Liverpool's Salah is the overwhelming favourite to retain his award following his record-breaking 2017-18 season for the Reds, although he faces competition from teammate Mane, who scored 10 goals as Jurgen Klopp's side reached the Champions League final. 2015 winner Pierre-Emerick Aubameyang has been included among the nominees, while Nigeria is represented through Ahmed Musa, Alex Iwobi, and Odion Ighalo. Kalidou Koulibaly, Thomas Partey and Medhi Benatia are among the other contenders, while 2016 winner Riyad Mahrez has also been nominated. Another Super Eagles international, Wilfred Ndidi, has been shortlisted for the Young Player of the Year award, where he'll be in competition with Achraf Hakimi and Ismaila Sarr among others. Ajax and Cameroon goalkeeper Andre Onana has been shortlisted for both awards. 2016 Africa Woman Footballer of the Year Asisat Oshoala of Nigeria has been nominated again, but she'll have to beat off South African duo Tabitha Chawinga and Thembi Kgatlana. The Super Falcons and Banyana Banyana will clash in Saturday's Africa Women Cup of Nations final. Elsewhere, awards will be given for the men's and women's Coach of the Year and National Team of the Year.